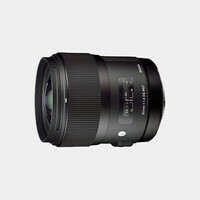 The Sigma 17-70mm f/2.8-4 DC Macro OS HSM Lens for Canon is a standard zoom lens designed especially for DSLRs with APS-C-sized image sensors. This lens has a 35mm-equivalent focal length range of 27.2-112mm, providing wide-angle to portrait-length angles of view for use in everyday shooting situations. This lens features a fast f/2.8-4 maximum aperture to help better control your focus plane and to aid in low-light shooting. A built-in Optical Stabilizer also helps in low-light situations by providing a four-stop reduction in the appearance of camera shake, which is ideally suited for macro and telephoto shooting as well.